Chef – Up jump the Buttercups. Spring is Here! The Fiddleheads of North America are the unfurled fronds of the Ostrich and Lady Ferns. The Lady Fern is typically first to market, as this Pacific Northwest native begins its growth a shortly prior to the Eastern Ostrich Fern. They can be harvested for a few short weeks in the early spring. 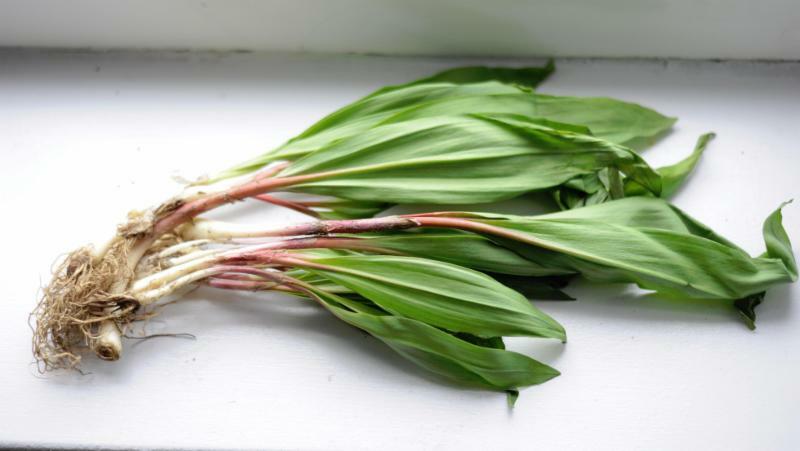 They possess a beautiful, light, “Green” flavor that is most closely resembled by an Asparagus and Artichoke melding. They can also have similar attributes of very light Green Beans. Working with Fiddleheads is a joy in itself. The unique spiral “design” of the unfurled frond emulates the beauty of nature while utilizing its delicate flavor of Springtime to elevate any “set”. 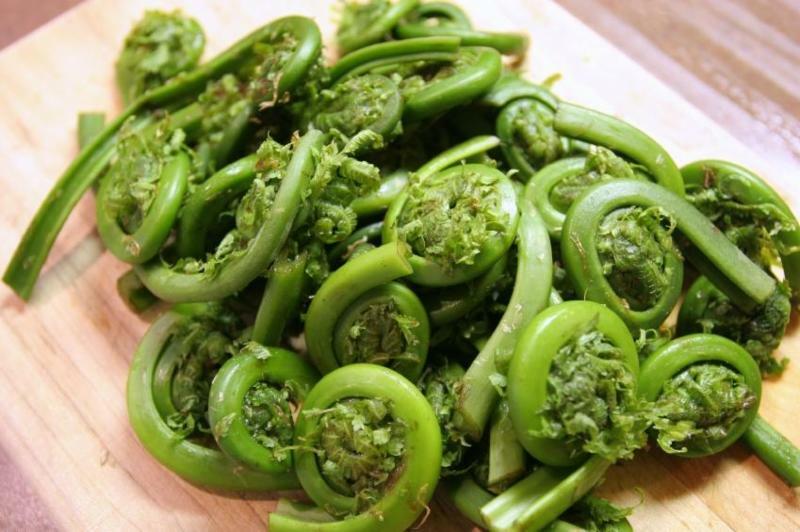 An easy ingredient to work with, the Fiddlehead Fern is a blanch away from supporting your Spring features. 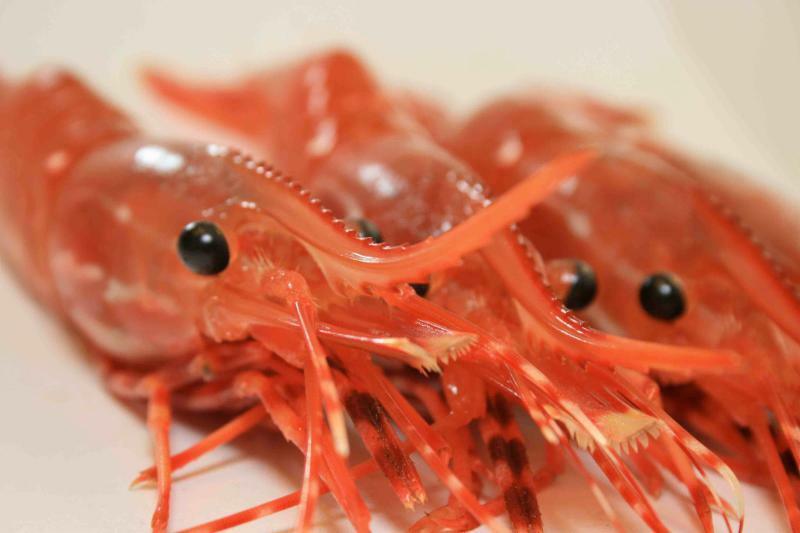 San Diego/Santa Barbara Prawn Trappers are the ultimate in sustainable Shrimp capture. Trap caught Spot Prawns ultimately eliminate by-catch produced by netting and trawling associated with other Shrimp. The Spot Prawn are delivered to our San Diego partners and held live until ordered. Spot Prawns are sweet and a perfect mix of Lobster and Shrimp Flavors. The Meat of the Spot Prawn has a phenomenal “SNAP” and finishes very silky. The Spot Prawn inhabit deep water and pack on “fat” to regulate body temperature. This translates to a beautiful product that interacts with dry cooking methods to retain “fat” in the finished dish. The head of the Spot Prawn has a very rich “butter” that can transition Shrimp Sauces to the next level of refinement. The Santa Barbara Spot Prawn is a favorite among the most elite Sushi Chefs in California. With Priority Overnight Delivery, serve Santa Barbara Spot Prawns like the Pacific is at your front door. Common Names: Gulf Grouper, Mero Baya, Garropa del Golfo. Baya Grouper have a high amount of natural sugars that lend to great caramelization and color. Baya Grouper hold up to most cooking methods and applications. Often weighing in above 35 lbs, Baya could be the “Big Grouper” you’ve been wanting. 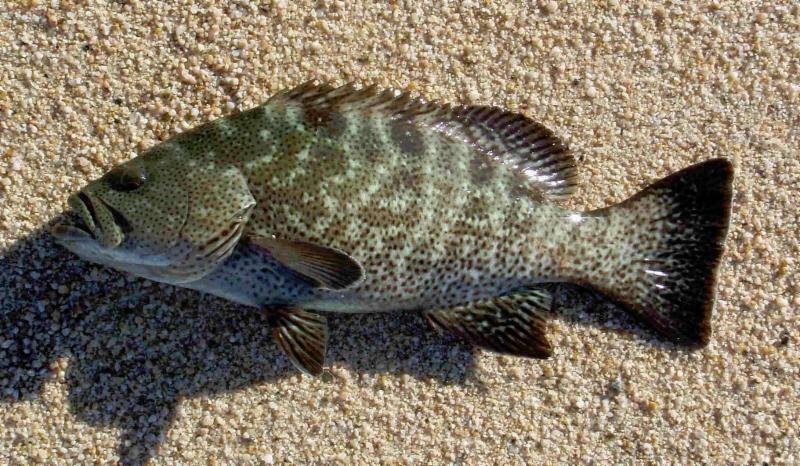 Common Names: Sardinera, Golden Grouper, Leopard Grouper, Spotted Grouper. 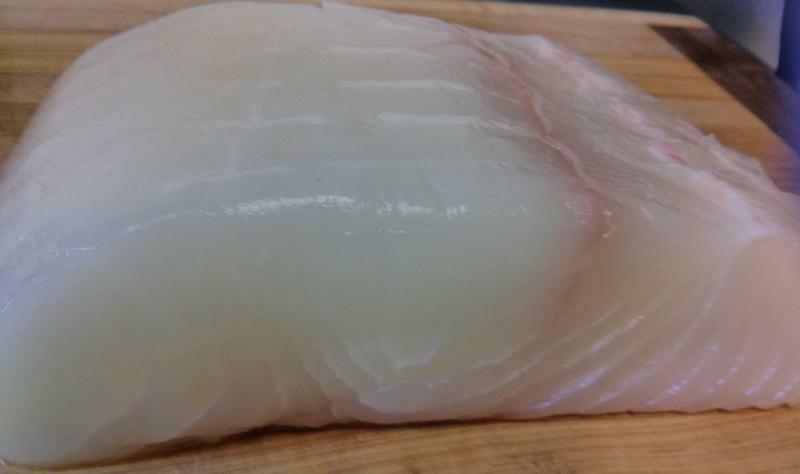 Cabrilla fillet have a paper white flesh that is textually firmer than Atlantic Black Grouper, but just as sweet and moist. 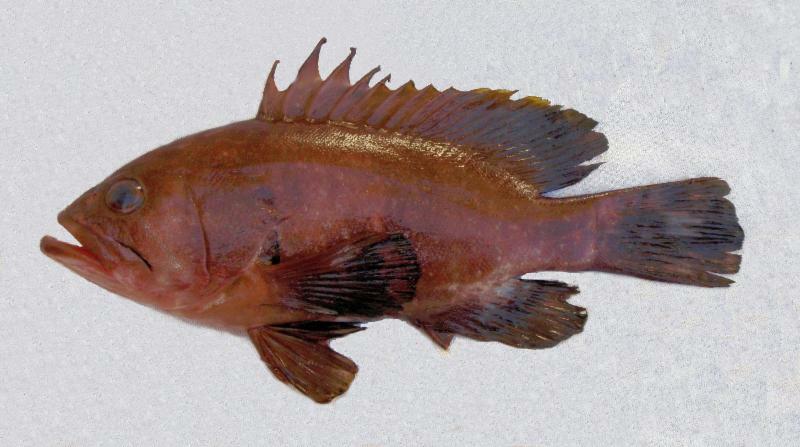 The Cabrilla Grouper go through color changes during the year. 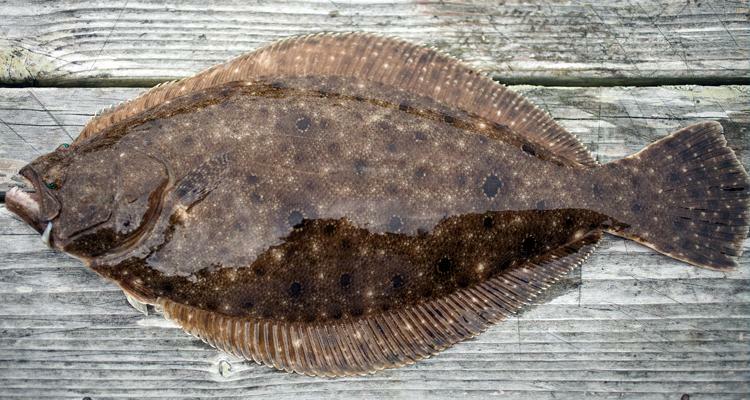 Depending on the color of the fish at capture, the common name may change. The Spring typically shows a transition from Leopard to Golden. Common Names: Pink Baquetta, Brown Baquetta, Gulf Coney, Rooster Hind. Baquetta is a great option in the Grouper realm. Flavorful and sweet with a great tooth to the cooked flesh. Deep red lines in the white to pink fillet offer a complexity of flavor without tasting bitter or “off”. Baquetta can grow large and offer “baseball” cuts, or the 3-5 lb fish can yield a beautiful plank fillet for delicate applications. Categories: MENU PLANNING | Tags: fiddlehead fern, Grouper, spot prawn | Permalink. The Alfonsino is a distant Cousin to the Sumatra Fighting Fish, a salt water Beta. The Fish are small (13″) at their largest. Alfonsino have been described as “Melt in Your Mouth”. They have a very tender palate and a sweet flavor balanced with umami. Alfonsino are a deep-sea species, found in waters 600-1500 feet. Alfonsino have a very sweet, rich flavor, with the flesh being super high in minerals, nutrients and Omega-3 oils. The fillets are short and deep, tapering sharply and have a light pink color, with a firm texture and medium flake. Tai has a host of species attached with the moniker. This is the Pagrus auratus from New Zealand. It is a Porgy/Sea Bream that has a beautiful pink hued skin that is wonderfully edible. The flesh is a soft light pink that cooks to paper white, and is mild, sweet, and “fluffy”. Applications are limitless! Menu as Tamure, Tai, Madai, Kodai, Red Sea Bream, or Porgy and your guests will revel in its versatility. Prized for its colorful golden/red scales with light blue spots, it is a true favorite for New Zealanders and is considered the Rolls Royce of inshore species. In Japanese folklore it is the symbol of fortune, and is typically used as the centerpiece in celebratory feasts. NZ snapper is rich in a naturally occurring amino acid called glycine which results in its characterictic sweet flavor. It is a must-have item for any menu. Our snapper are caught via long-line, from our day-boat fleet and this results in the best-quality eating fish imaginable. New Zealand’s snapper fishery is managed by the Quota Management System, with a sustainable harvest TACC (Total Allowable Commercial Catch) of 6,357,300 tons. New Zealand Red Snapper are akin to the revered Alfonsino. Also known as Golden Snapper, the Skin is a brilliant orange that is deliciously edible. The flesh is an opaque white with firm, yet silky attributes. The Japanese believe the consumption of this fish is for celebratory reasons. Weddings and New Year’s Eve are perfect examples. Menu this Snapper to make every plate a celebration. Menu as Hamadai, New Zealand Red Snapper, Golden Snapper, or Nannygai. 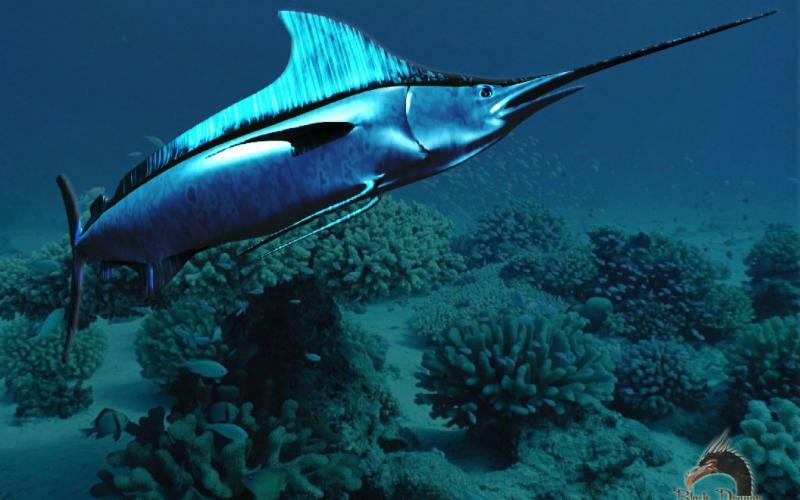 All of the above species meet some of the most sustainability criteria in fishing today. New Zealand has one of the most responsible fisheries on the planet. All of the above species are certified by the highly regarded international organization Friend of the Sea. The group’s seal of approval verifies that products are caught using sustainable practices and originate from sustainable fisheries. Friend of the Sea was founded in December 2006 and is the only scheme in the world which can certify, with the same seal of approval, products both farmed and wild-caught. Friend of the Sea is currently the main sustainable seafood certification scheme in the world, having assessed more than 10 million metric tons of wild-catch and 500,000 metric tons of farmed products. The Fish, as a natural inhabitant of the cold, crystal-clear waters of Spencer Gulf off the Eyre Peninsula in South Australia, Hiramasa Kingfish are locally fed year round in the clean, crisp Antarctic currents that flow freely from the Great Southern Ocean. Hiramasa is the Japanese word for the species, where it’s highly prized as a superb sashimi fish. Increasingly though, Hiramasa Kingfish is also being acclaimed for its extraordinary versatility; whether served as sashimi, cured, smoked, grilled, fried or roasted as a cutlet or poached as a fillet in broth. So it’s little wonder that the world’s leading chefs revere Hiramasa Kingfish for its exquisite flavour, texture and consistency and have come to rely on fresh deliveries of it twice weekly, 52 weeks of the year. Local pride, careful Australian nurturing and global recognition make it easy to see why award-winning Hiramasa Kingfish is indeed, The King of Kingfish. Hiramasa Kingfish is renowned for being one of the finest eating fish in the world. Its firm white-to-pale-pink flesh boasts a fresh, sweet and clean flavor that’s superbly moist and silky unadorned as sashimi, yet rich enough to hold its own when paired with more robust ingredients and flavors, including meat. Its broad-flaked texture and minimal bone structure is also favored by leading restaurant chefs for its easy eating, consistently high standard and exquisite mouth feel. The skin crisps brilliantly too, reflecting its higher fat content. All of which means that Hiramasa Kingfish is a fish for every season; performing magnificently as a warming winter dish as well as clean, classic summer fare. Whether it’s haute cuisine or haute casual, Hiramasa Kingfish’s versatility makes it a veritable palette for the palate. Hailing from many temperate Pacific regions, the Opah, or Moonfish, is a marvelous example of diversity in seafood. It is a beautiful species that is considered good luck by many South Pacific natives. It’s uncommon body structure and striking coloration contribute to its popularity not only in sport fishing, but also the culinary world. The muscle placement offers various cuts with degrees of texture, color, and flavor. The most utilized and available is the “Top Loin” or Back. Running along the top from eye to tail, this cut offers maximum yield and uniformity in portioning. It typically boasts the deepest color, which spans from orange, to pink, to red. The Top Loin also seems to be a bit tenderer than the Belly or “Bottom”. Opah has a flavor and texture that has often been compared to a cross between Tuna and Swordfish. It has a moderate flavor that is bold enough to attack with ingredients, but not overpowering or strong. Opah is at home in almost any culinary application and plates well in any arrangement. 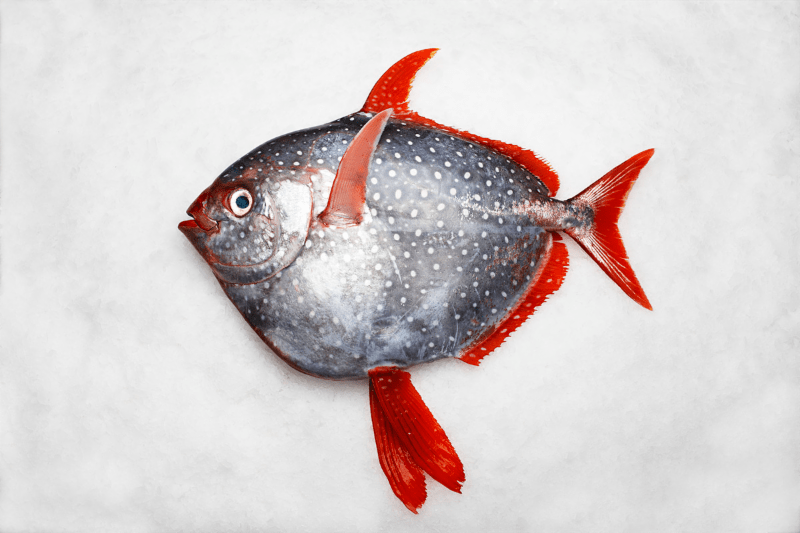 Our South Pacific Opah is sourced from New Zealand and Tahiti. The Tahitian Opah often shows a deeper color in the flesh. This is attributed the Tropical environment. It tends to be a bit lighter in flavor also. The New Zealand Opah has a lighter color, but boasts a bit more complexity in flavor. No matter the coloration of raw Opah, the flesh cooks to a creamy white. Opah is a resourceful protein and allows countless applications and recipes. It can be cooked just through or served medium rare. It holds up to big sets and tamely incorporates itself into lighter ingredient parings. Opah is as menu-able as it is beautiful. Doubly sourcing Tahitian and New Zealand Opah, allows SeafoodS.com to readily supply product from these tightly managed fisheries. Leigh Fisheries provide SeafoodS.com and our customers a 3 day boat Swordfish. The fish is caught dressed and wrapped in breathable cloth immediately after landing. This provides one of the freshest swordfish on the market. Swordfish has a lean steaky texture with moderate moisture. It has a complex flavor that holds up to bolder flavors. The powerful Swordfish has a incomparable shelf life, and with direct sourcing, that shelf is even longer. Swordfish allow the butcher an intricate view into an incredible yield with minimal loss in fabrication. The “Wheel” and Fillet are the most popular specs for restaurant purchasers, and present a user-friendly break down of portions. It’s a lower cost, higher yield animal that is extremely recognizable by the guest. Categories: MENU PLANNING | Tags: broadbill, Hiramasa, Kingfish "Hiramasa", moonfish, New Zealand, New Zealand Seafood, opah, Sashimi Hiramasa, swordfsih, Yellowtail Hiramasa | Permalink.